I’m always excited when I’m using Padlet. Is it the interface, the way everything is designed, its purpose or the fact that I’m organizing things smoothly? I don’t know. It just makes me happy. Padlet can be used by students and by teachers. With padlet you can create an online post-it board that you can share with any student or teacher you want. Just give them the unique Padlet link. Padlet allows you to insert ideas anonymously or with your name. It’s easy to use and very handy. Whoever has the Padlet board opened on his smartphone or computer, can see what’s on it and what everyone is writing. Students just have to take a device and start adding little sticky notes online. They can see all the ideas gathered on the teacher board immediately. Using Padlet in the classroom is easy. You can install the Padlet app for Apple or for Android on your phone or just go to the Padlet website. Here you create an account and make your first board. Once that is settled, you have to get the board to your students. Sharing a Padlet board is easy; choose for a QR code or a link. There are more sharing options, but these two are the most obvious. Let your students insert the link in the browser or in the Padlet app. They can ‘continue as guest’ so they just have to scan the qr code with the Padlet app or type in the URL, without creating an account. Shortly after, they will be directed to your first Padlet board. or just click the ‘+’ button in the lower right corner. Padlet reaches as far as your imagination. It’s you that makes an educational app like this really powerful. 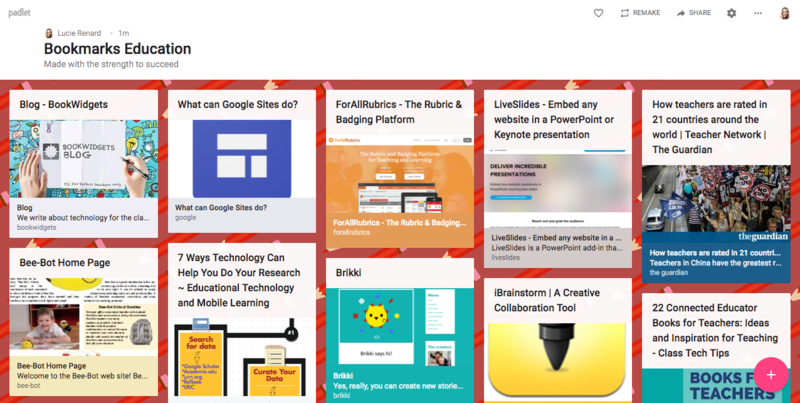 So, let me give you some padlet ideas for in the classroom. 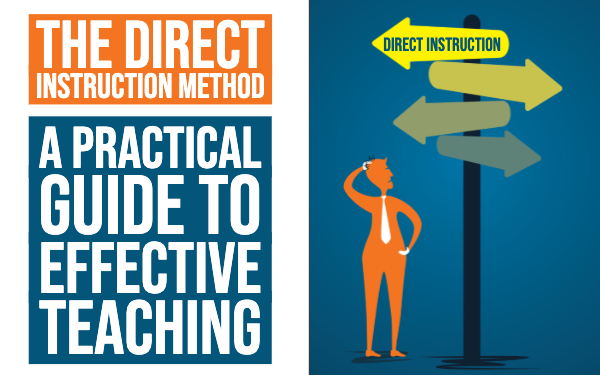 This lesson idea is probably the most popular among teachers. That’s why I’ve put it first on this list. Give a statement students have to discuss or a project about which students have to brainstorm. Share the board and let students share their ideas and comments. This way, every student can see what the others think. You can discuss a few of the given answers with the whole class. Let’s try it out for this post. 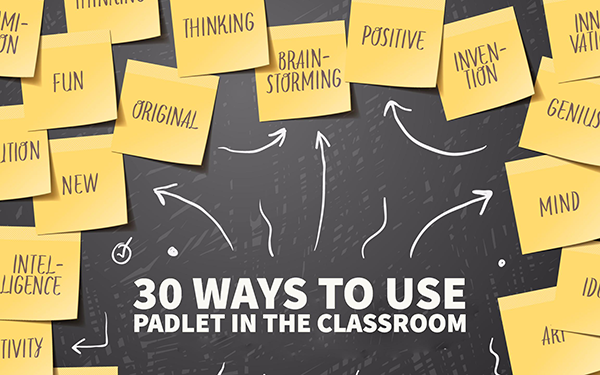 I listed 30 ways to use Padlet, but there are so much more lesson ideas with Padlet. Why not share them with everyone? How do you use Padlet in your classroom apart from the ones that are already in this list? Just click on this link, and start collaborating. I’m so curious about how many ideas we’ll get! Nothing to contribute? Then just take a look! After a while, the board should contain a lot of fun classroom Padlet ideas. Let your students ask questions during the lesson. It’s very handy when students don’t understand something or need a better explanation. Stop your lesson 10 minutes early and go over the questions. This way students who are afraid to ask questions can still ask their questions anonymously. It gives a voice to every student in the room, even to the shy ones. Use Padlet to gather student work, all in one place. Don’t use it for ordinary homework, because all the other students can see what the others have done. Use it for articles and research on a topic. When you let your students do some research on, for example, ‘great historical poets’, you have all the articles and research on the same place. Other students can take a look at the research of someone else as well. When it’s international poem day, you could ask your students to post a poem they really like. Use Padlet as a student portfolio tool. Create boards for every student and let them post assignments, articles and projects on it. As a teacher, you can comment on each one and give meaningful feedback. Whenever a student finds something helpful for his portfolio, he just has to save it on his portfolio Padlet board. No more editing and printing articles. Let your students answer some important exit ticket questions like “what did you learn today?”, “What didn’t you understand?” or “What questions do you still have?”. Let your students post a selfie and add 2 truths and 1 lie about themselves. It’s up to the other students to find out which one is a lie. You’ll be surprised by how well students can lie! Add al the headshots of your students on the Padlet board or let them add a picture. Then, everyone has to write at least one compliment as a comment beneath everbody’s picture. This is a fun goodbye as they are going to the next year. Everyone loves compliments! When students graduate, you would like something to remember them. What better way to let them fill in their best times as a student in your school. Who’s your favorite teacher? Why? What would you do over again 100 times if you could? What are the things you will miss the most? What do you love the most about this school? When its open house in your school, you could leave a tablet at the exit point, so parents could add a post on your Padlet wall. Ask for a comment on your “guest wall”, or for their first impression of the school. You could even ask for some innovative new ideas that would make the school a better place. Use a Padlet wall for students to create various thinking maps or mind maps. You can upload a custom background to help them with the layout and they can start adding Post-it notes to a flow map, tree map, or even a circle map format. Familiar with the Google Classroom stream? Well, you can do the same with Padlet. Use the Padlet stream layout and communicate assignments and important lesson material to your students by adding posts to the communication stream. You can even add some fun BookWidgets exercises in the stream. Use the same stream layout like in the classroom communication idea to communicate with parents. Enable email notifications so you receive an email whenever parents post on the Padlet wall. This way you stay on top of all the posts and potential questions. Use the stream for fun classroom updates. Having personal conversations is not the best idea because any other parent can see them. When the complete class has to read the same book, it’s fun to create a discussion about the characters, things people do in the book, hidden meanings, plot twists, etc. You can even let them invent a sequel to the book. 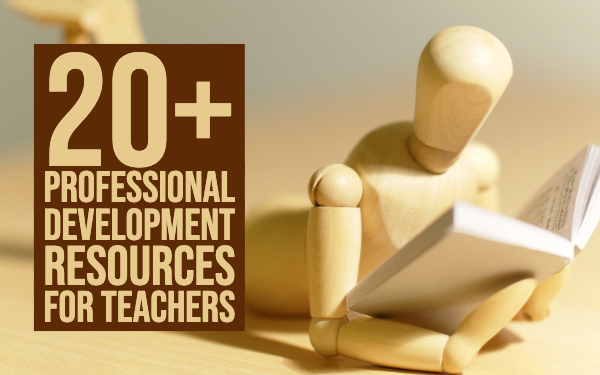 Try to figure out what students already know about the topic you’re about to teach. What prior knowledge do your students have about that particular topic and what don’t they know? Students just post their knowledge on Padlet, so you can see how to build your lesson. Start the lesson with a quote that concerns the lesson topic. Let your students brainstorm on what the quote is about and if it has a hidden meaning or not. Students will start digging really deep looking for hidden meanings, even if there are none. You’ll laugh with the stories and theories they came up with! To speak about current events, you could let a student add an article on the Padlet board for the next day. Every day a different student has to add another article. A fun way to go through the current events of the week. When its a student’s birthday you could create a Padlet wall on which every student has to write some nice birthday wishes. You can do the same for a sick classmate. Instead of birthday wishes, you let them write some get well notes or add some nice drawings. Let your students be the reporters of the classroom newsletter. Gather all the articles and games on a Padlet board, and when it’s finished, share the link with their parents or the complete school. Once in a while, you should ask your students for feedback. Create a Padlet wall just for that and make sure to let students comment anonymoulsy. This way they will be more honest. Don’t foget to really do something with the feedback they gave you. Students may not always choose their own book to read for a book review because the teacher hasn’t read them yet. That’s a pity, because students won’t be eager to read that way. Let your students add some books on a Padlet wishlist board. You can choose 5 books (or more if you want) that pass your inspection. Just like with the book wishlist above, students can make some suggestions of books they want to read. The library will look into the books and purchase them if it are some good suggestions. Use Padlet for peer assessment. Let students add two ‘tops’ and one ‘tip’ on the Padlet wall of their fellow student who just finished his presentation. Tops are things the student did well and a tip could be something the student should improve the next time. For physical exercises, students have to go walking more. Let you students do some geocaching and let them post pictures of themselves and the treasure to the Padlet board. It will encourage the others to find the treasures as well. While listening to the teacher, students can work together and add notes to a Padlet wall to create a wall with resources they can use later on. As a teacher, you could do the same thing in staff meetings. Use a Padlet board to share every important date with your students so they have something to look forward to. These can be holidays and free days, field trips, school events and students' birthdays. Having fun between two lessons should be allowed from time to time. 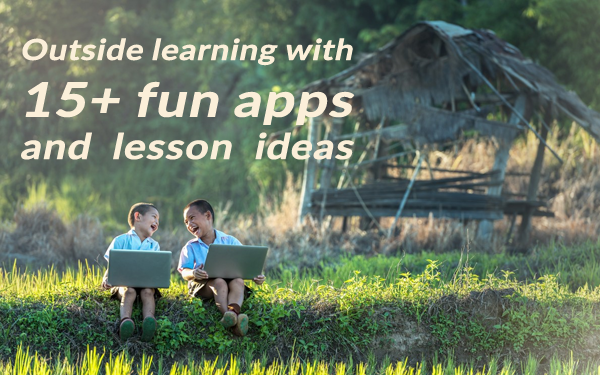 Let your students add funny videos to a Padlet board. So every student can have some fun during the lesson breaks. Make sure to put in some rules and to check the videos on the wall. Create a story and ask students how it should continue. Students can post their ideas on the Padlet. Finally, take some of your students' ideas and complete the story. You’ll have some funny stories! When you’re planning a field trip or a class party, you can post everything you need to think about and to arrange on a Padlet board. This can include pictures of the destination, a list of who’s bringing what, links to important websites and more. Share a Padlet wall with your teacher colleagues and let them post crafty ideas for father’s day, mother’s day, valentine’s day or just for the weekly craft class. This way you get inspired by other teachers and try out new things. Use Padlet mini to bookmark interesting articles on the internet. That way, you won’t have to search for that article or creative ideas again. Most of the times you can’t find it again anyway. Create different Padlet boards like “Classroom management ideas”, “Classroom decoration ideas”, “educational apps to try out”, etc. So now it’s your turn! How do you use Padlet? Let us now and contribute your ideas on this Padlet.